Darren Edwards does press, promo, marketing and label management for all of the rock bands on Warner Records, Roadrunner Records, Nuclear Blast and others. He works behind the scenes with such bands as Slipknot, Mastadon, Slayer, Red Hot Chili Peppers, Slash, Megadeth, Zack Wylde, Alice In Chains, Dream Theater, Motley Crue, Korn, Gene Simmons and, believe it or not, a lot more! Visiting Nashville for work all the way from Sweden, Darren graciously found time to come to HQ2 to talk about his career in the music industry and his favorite metal band, Metallica! 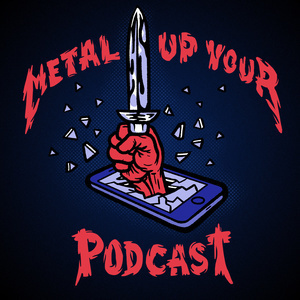 We also do a Metal Madness (Kill 'Em All vs. Master of Puppets) and Clint asks the age-old question, "is Ethan out of touch?"